Medical Art Prosthetics, LLC began as a modest sole proprietorship introducing a new way to provide facial and body prosthetics in the United States. Beginning in 1985 the practice which became Medical Art Prosthetics proved to the established American medical and dental community that a new higher standard of accurate and life-like prosthetics results could be provided from the hands of clinically-trained medical artists focusing their skills in their own lone-standing private facilities. Today the Medical Art Prosthetics team boasts a nationally prominent network dedicated to craniofacial, ocular, somatic and extremity prosthetics that restore anatomy with uncompromising life-like realism. 2 main clinics; near Dallas,Texas and in Madison, Wisconsin are unprecedented in establishing a reputation entirely on the merits of craniofacial and hand prosthetic outcomes that attract patients from throughout the world. Patients may also elect to be seen and treated in Illinois, California, New York, and Florida. Our team of anaplastologists and prosthetist provides rehabilitative services that maximize functionality and promote well-being by creating user-friendly prostheses of unbelievable accuracy and faithful, patient-specific anatomical detail. We develop treatment plans to maximize each patient’s success with their prosthesis. Our nationwide network allows us to create partnerships with new Vistafix implant surgeons, and with all types of physicians, employers, payors and case managers which help us to achieve optimal patient outcomes in a cost-effective manner. 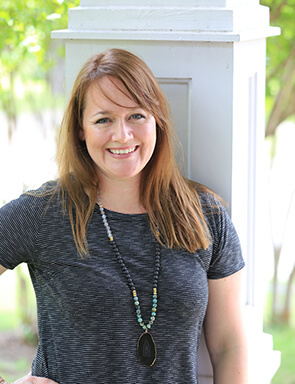 Allison Vest, MS, CCA received her Bachelor of Arts degree from New College in Sarasota, Florida in 2002. Her Master of Science degree was earned in 2004 from the Universty of Illinois at Chicago Graduate School of Biomedical Visualization. Ms. Vest is one of only two interns each year to receive the specialized facial prosthetics team oriented training as a medical artist / clinical anaplastologist in the Maxillofacial Prosthetics Clinic at UIC Medical Center. 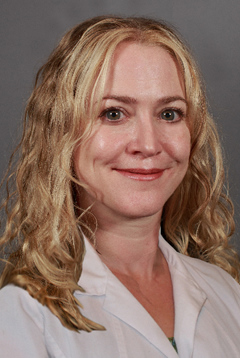 Her post graduate facial prosthetics training includes an internship in the Maxillofacial Prosthetics Clinic at the University of Florida Medical Center and an externship at the Morriston Hospital in Swansea, Wales. The original Medical Art Prosthetics practice established in Dallas in 1985 continues to serve Texas and the southern United States under the leadership and vision of owner and director Allison K. Vest, MS, CCA. With Ms. Vest the long-established practice has trained several intern anaplastologists and looks to an exciting future of advances in technology and prosthetics care. James Hogue, MA, a longtime associate of Medical Art Prosthetics has officially joined the team based in the Madison, Wisconsin facility. Jim brings years of experience in digital imaging, biomedical science, anaplastology, and prosthetics – not to mention a distinguished and valuable career in the related field of prosthetic special effects. Jim is an enormously talented artist who is an award-winning medical illustrator and a special effects sculptor/painter with many important films to his credit. These accomplishments are evidence of perhaps the most important ingredient in the provision of truly effective and life-like facial prostheses; a high degree of visual acuity and an abundance of natural artistic talent! 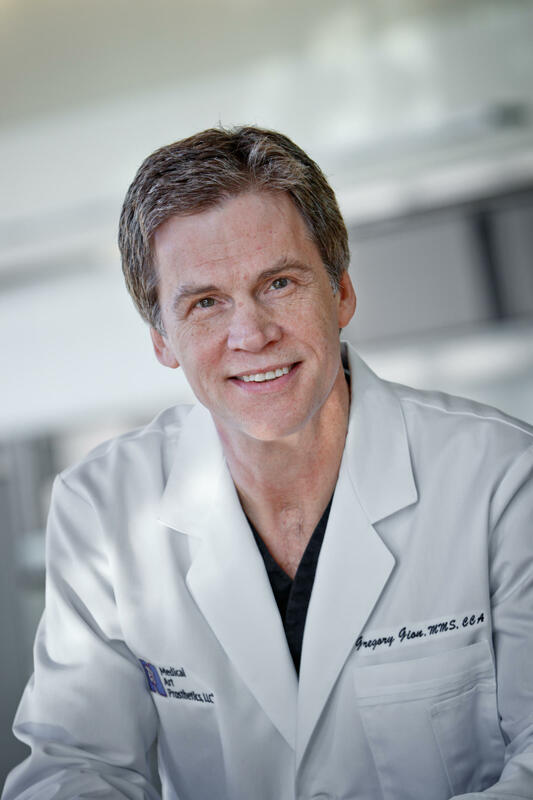 Jim holds a Master of Arts degree in Biomedical Communications from the University of Texas Southwestern Medical Center in Dallas where he also studied prosthetics materials. 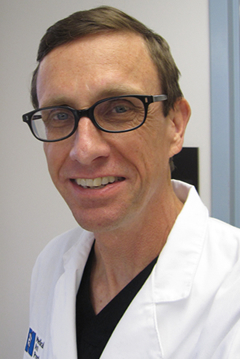 His training and experience in clinical facial anaplastology has occurred in maxillofacial prosthetics settings at the University of Minnesota, The Mayo Clinic and Aesthetic Prosthetics of California. Jim also served as consultant to a specialty silicone prosthetics firm in Sweden. Shay Kilby, MS received her Bachelor of Arts degree from San Francisco State University in 2007. Her Master of Science degree was earned in 2009 from the University of Illinois at Chicago Graduate School of Biomedical Visualization where she pursued a dual Masters track in Anaplastology and Medical Animation. Her research included acquisition of 3D anatomical data in clinical settings. In addition to her role as Vice President of Global Marketing and Strategic Alliances at Fovia, Inc. Her most recent 3D animations, which are on display at various museums around the world and created with Fovia’s software, help scientists visualize and better understand mummies and their artifacts. 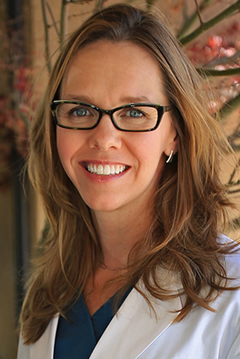 In animations and teaching she specializes in visually communicating complex medical processes, anatomical pathologies, and neural communication pathways. Her current area of research in medical imaging is 3D Printing. She enjoys finding the endless connections between 3D imaging and prosthetics. She now resides in the Tampa Bay area and when she isn’t working in Medical Imaging or Anaplastology, she spends her time wandering around the nearby AT trail with her dogs, co-facilitating a Siblings of the Mentally ill group for NAMI and working in disaster recovery when she can. Silicone facial prostheses are attempted by various clinicians and technicians, but truly faithful anatomical renditions – the kind that make patients happy – are only possible in the hands of practitioners with a balance of the right temperament, training and natural artistic talent. All of our masters-prepared practitioners have proven artistic skills, specialty prosthetics clinical training and a willingness to take the time both in the lab and with the patient that is necessary to deliver truly successful and aesthetic restorations. I hope you will provide us with an opportunity to demonstrate our skill and earn your confidence for patients who can benefit wherever they live.